Next time you buy a gadget from Amazon, a techie might come to your home to set it up. That’s because the Seattle-based retail icon just launched its own Geek Squad-like home support service. Recode broke the news earlier today, and the service is already live in nine markets: Seattle, Portland, San Francisco, San Diego, Los Angeles, Orange County, and San Jose. In addition to free consultations on technologies like Alexa and how to use certain smart home devices, Amazon is offering installations at a very reasonable $99. It didn’t take long for shares in Best Buy to plunge in value, with a drop of 5.5-percent. Best Buy shareholders are right to be worried. According the company’s 2017 Annual Report, services — of which Geek Squad is an integral part — represented 9-percent of its entire business. This is compared to 6-percent in financial year 2016. 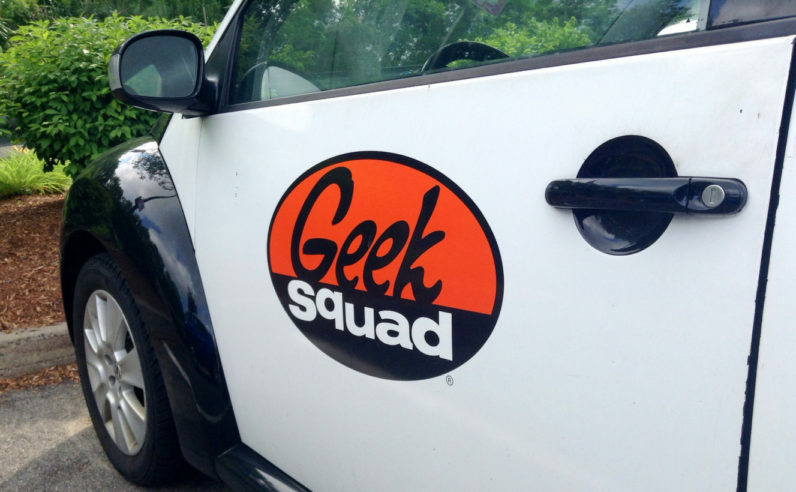 As a business unit, Geek Squad has proven to be scalable and portable, and is present in territories where Best Buy retail outlets don’t exist, like the UK. Suffice to say, Amazon’s move into in-home support services removes one of Best Buy’s few competitive advantages. Although the company is doing its best to appear unfazed, issuing perhaps the most nonchalant statement I’ve ever read, the reality is that this is the worst possible news for Best Buy. Amazon enters this market from a position of power. Its Prime package is set to overtake cable television in popularity next year, giving the company direct access to at least 80 million U.S. households. Best Buy, on the other hand, has just over 1,000 big box retail stores throughout the United States, and little international presence outside of the Canada, and Mexico. The Amazon brand is also hugely popular, regularly topping lists like YouGov’s BrandIndex, which looks at how companies are perceived by the public. Best Buy, unfortunately, fares less well, with the Geek Squad service having a particularly toxic reputation. In 2014, the Orange County Weekly discovered that Geek Squad technicians also moonlighted as FBI informants, searching through people’s busted computers for information that could net them a $500 reward. On Reddit, you can find countless uniquely awful Geek Squad stories, usually centered around tales of upselling, shoddy workmanship, or sky-high repair fees. While there are some positive stories, they’re massively outnumbered by the negative ones. It’s too early to make a judgment call on Amazon’s new in-home tech support service. That said, I like Amazon’s chances for one simple reason: since its its inception, Amazon has focused on the customer experience. It’ll win just by being better. There’s a book that beautifully describes Amazon’s unique approach to customer satisfaction called One Click: Jeff Bezos and the rise of Amazon.com. I re-read it last week (because it’s an excellent book, and I recommend it wholeheartedly), and one thing that struck me was during its nascent days, when it was simply an online bookseller, it recruited 500 out-of-work academics to staff its customer service division on the basis they’d be better able to provide book recommendations. I know that bookselling and tech support are two entirely different rodeos, but it stands to reason that as it tackles this new market, Amazon will maintain the same dedication to customer satisfaction it has always had. I can imagine a service where recommendations are made based on the quality of the product, and not because it’ll net Amazon the most commission. I reckon it’ll have competent technicians, and any issues will be solved promptly to the customer’s satisfaction. Even before trying it, I’m imagining a service I wouldn’t mind recommending to my parents, or my grandmother. That’s how Amazon will win. Suffice to say, I wouldn’t want to be a Best Buy shareholder right now.